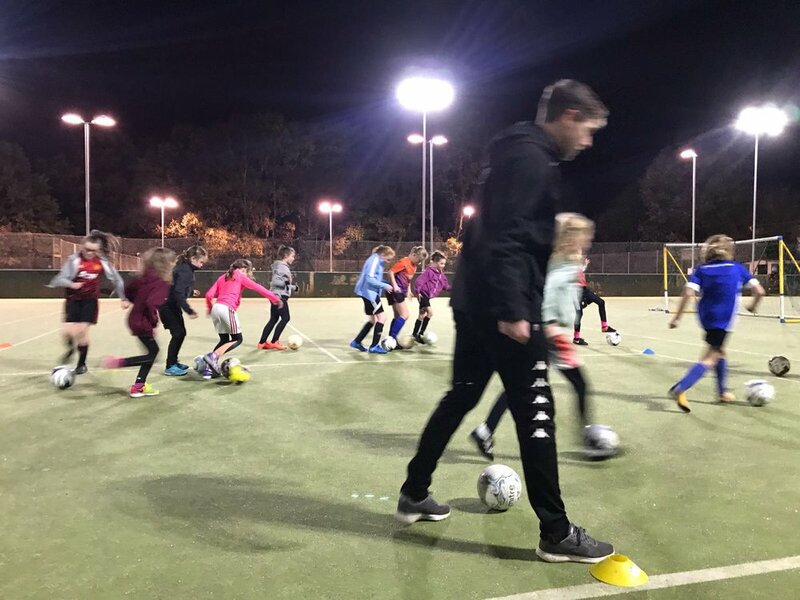 This is our girls only session taking place Monday nights 5-6pm at Poynton Sports Club, open to all girls from reception to year 6. In September 2018 the girls will be forming the first ever Poynton JFC girls team, they currently play in friendlies in preparation and train on a pay as you go basis, £5. When in the right environment the girls enjoy football just as much as the boys and this session proves it. Come and join in.